Talk to friends in another language, even if neither of you can speak it! Slated translates while you type into your choice of over 80 languages! It can also translate what your friends send back to you in that language, instantly. As seen on TechCrunch, LifeHacker, iMore, and more! Slated is a keyboard extension - it can replace your keyboard in other apps, letting you converse in another language. As you type, it translates into your preferred language. Also, by simply copying any other text that's in that language, you'll see it translated back into yours. 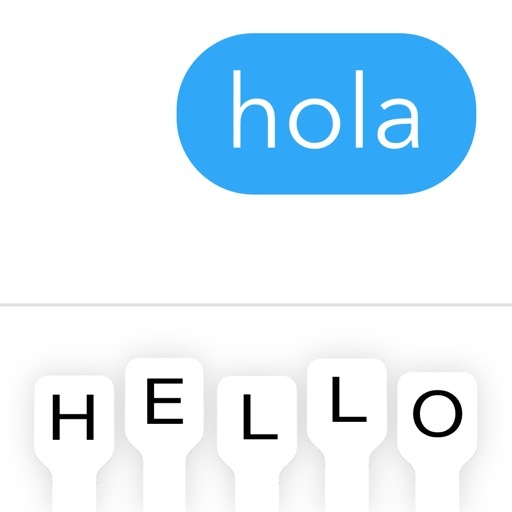 So you can and a friend can both type in a foreign language--even if it's foreign to both of you! Works with SMS, iMessage, WhatsApp, Line, WeChat, KakaoTalk, Twitter, Kik, Facebook Messenger, Viber, Skype, and your favorite messaging app. Or any app that uses text! Text someone "hello" or "I love you" in their native language, or a language you want to learn. Communicate better, worlds away. 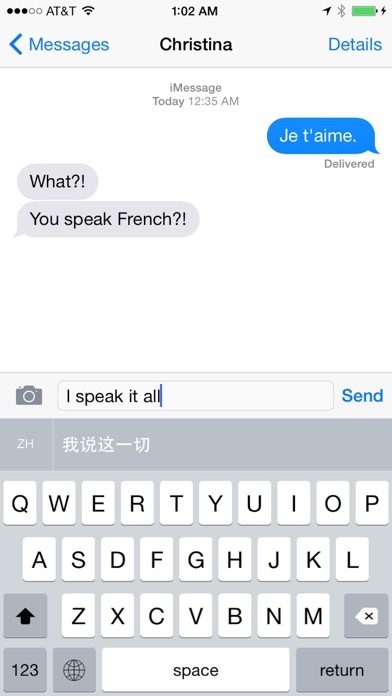 Even learn a new language just by texting! Currently US latin is the default keyboard input. More keyboard layouts to follow. Powered by Google Translate.